On Thursday, Africa’s Western Black Rhino was officially declared extinct. On the same day at Newlands cricket ground, 23 wickets fell, proving that Test cricket is thankfully still alive and kicking. A decent pitch combined with incisive bowling and scatterbrained batting led to a veritable stampede of stats as milestones were passed and reputations tumbled along with the timber. South Africa’s first innings total of 96 was the second-lowest since their readmission to Test cricket; Australia’s 47 all out their fourth-lowest ever and lowest against South Africa. Nathan Lyon’s 14 is only the eighth time a number 11 has top-scored in an innings. Not since 1924-25 have more than 22 wickets fallen in a day’s play; Shane Watson took the second fastest 5-wicket haul, in 21 balls. Vernon Philander, on debut, left Australia with nowhere to hide: his match haul of 8-78 comprises the 5th best bowling figures by a South African in his first Test. After all of this excitement, Hashim Amla’s elegant, wristy drives through cover and down the ground provided a much needed come-down as he and Graeme Smith calmly saw South Africa home just before lunch on the third day. Test cricket is magnificent, awe-inspiring, and it deserves saving. But like all endangered species, it needs some help. Poachers and loss of habitat did for the Western Black Rhino, and Test cricket similarly faces the threat of endless ODI series encroaching on an already packed international timetable and the proliferation of T20 tournaments dangling the big-dollar carrot in front of cricketers for whom the choice to represent their country would otherwise be an easy one. The format also needs to help itself – over-priced tickets, lifeless wickets, poor viewing conditions and the spectre of empty stands are just some of the things not helping Test cricket’s cause. That a love for the highest form of the game should ever be equated with purist “elitism” in contrast with its more populist forms would comprise not just a dumbing down of the entire sport but a failure of duty in the protection of its long and rich heritage. What is also plain is that Australian cricket, after the phoenix-like attempt to rise from the Ashes that was the Argus review, must adapt or die. 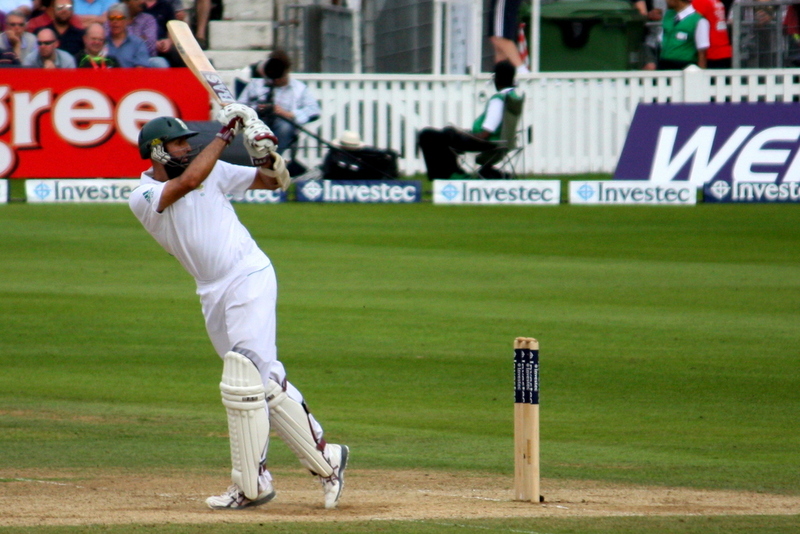 Captain Michael Clarke called the shot selection of his batsmen “disgraceful” and “horrendous”; his own fine innings of 151 he called “useless, a waste of time” in the context of his team’s defeat (a refreshingly honest admission, compared to Alastair Cook’s fatuous assertion that England are “getting close to where we need to be” after India’s 5-0 ODI whitewash). Ricky Ponting’s career decline looks to be terminal; Brad Haddin is a lame-duck choice for keeper with the likes of Tim Paine and Matthew Wade waiting in the wings; and surely it must be time to knock the Mitchell Johnson experiment on the head: he is the strike bowler Australia want but who rarely turns up. A cull for the good of the herd is very much in order. Not that this should mean a slavish over-insistence on youth – Mike Hussey still has runs in him, and regardless of what you may think about Simon Katich’s handling of his dropping by Cricket Australia, Phillip Hughes’ continued ineptitude at the top of the order must surely increase your sympathy for him. Those extraordinary events at Newlands were a perfect storm of individual weaknesses and standout performances distilled into one day. That the next match in this Test series should provide the amount of excitement we saw at Cape Town is unlikely. The fact that it is the last in a mere two-match series is criminal. Test cricket deserves better and the message to the boards and administrators is simple: don’t let this beautiful animal die.